Welcome to the home of the Belgian Tervuren Club of Southern California. We are devoted to the love and advancement of the Belgian Tervuren dog breed. The Belgian Tervuren Club of Southern California (BTCSC) includes members from Central California, Southern California, and Arizona. Please feel free to browse our site and see what we are all about. 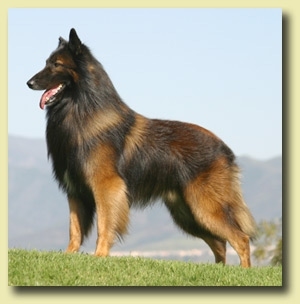 If you are interested in learning more about Belgian Tervuren, we encourage you to contact us about the breed or visit some of the other websites dedicated to furthering the breed.